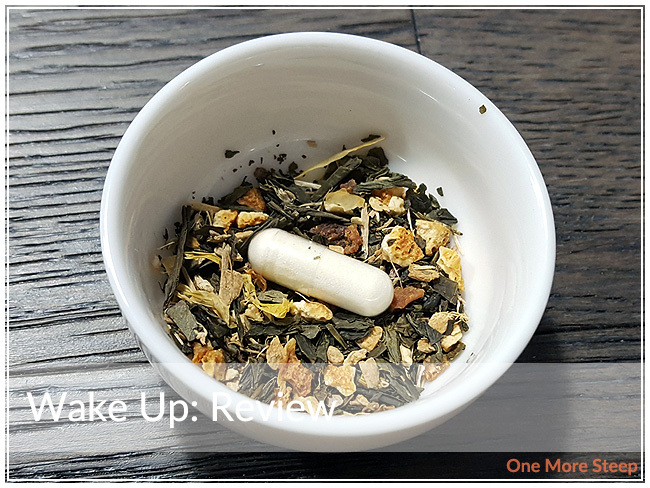 Kailo Tea has provided me with Wake Up for the purposes of providing an honest review. 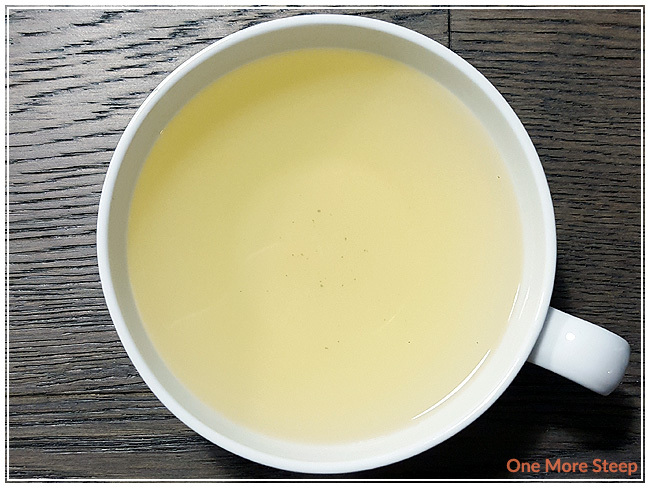 When Kailo Tea contacted me and asked if I wanted to try their teas, I was intrigued. 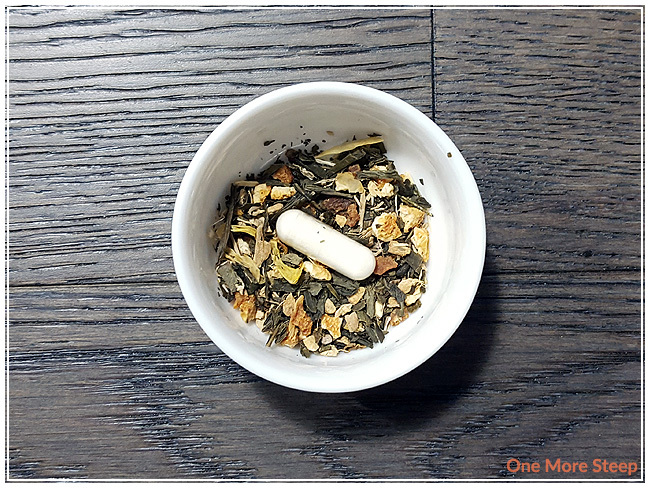 A Canadian tea company based in Ontario, Kailo Tea pairs tea with supplemental vitamins. 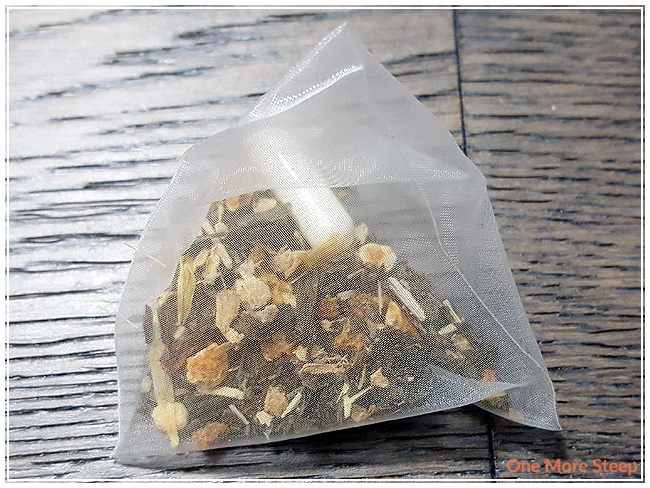 Their teas are available in tea bag/sachet form only at this time, as each sachet includes a capsule. 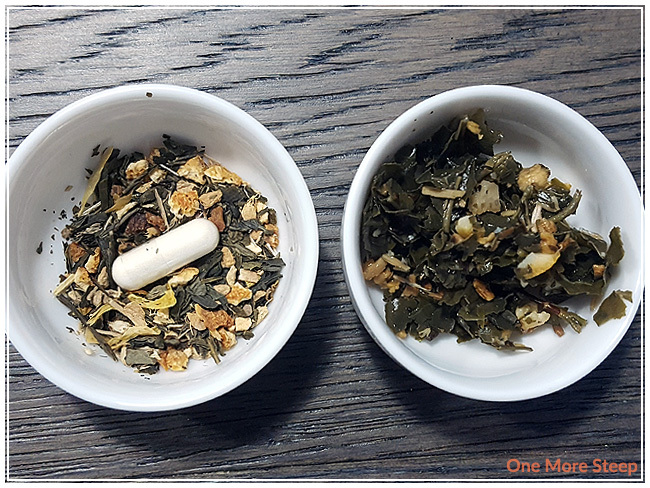 Even though I had read online that their tea included vitamins, it still threw me off a little bit to see the capsule inside of the tea bag. The dry leaf smells strongly of citrus, mint, and ginger. The aromas remind me a lot more of an herbal infusion than of a green tea, but there is green tea in there. Wake Up consists of: organic orange peel, organic ginger root, organic peppermint, green tea, eleuthero root (Siberian Ginseng), calendula, natural and artificial flavours, vitamin D3, vitamin C, and vitamin B (B2, B3, B5, B6, B7, B9, B12). One thing I appreciated on Kailo Tea’s packaging is that they mention consulting your healthcare provider if you are pregnant, breastfeeding, on any medication, or if you have a medical condition. I attribute this extra warning due to the fact that the tea does come with a vitamin capsule. Some medications are poorly absorbed if taken at the same time as vitamin supplements, so it’s always a good idea to check with your physician or pharmacist prior to taking anything with supplements. Kailo Tea recommends steeping Wake Up in 170-180°F (77-82°C) for 3 to 4 minutes. I steeped Wake Up in 175°F (80°C) for 3 minutes. Wake Up steeps to a bright greeny-yellow. The tea is slightly cloudy, which I attribute to the vitamin capsule as that’s the only thing I can think of that might cause the tea to be a bit cloudy out of the ingredients list. The tea smells sweet, and I can make out the citrus and ginger. I wish I could make out the mint, because I love the smell of mint. On first taste, Wake Up has bright flavours. The citrus and ginger combination is sublime. There’s a minty freshness at the end of each sip that I attribute to the peppermint. I can’t smell or taste the green tea base, but the flavours that I can taste are tasty. I did try to resteep Wake Up. I found the citrus and ginger flavours to be a lot more subdued and didn’t have the same level of natural sweetness and the flavours weren’t as bright. I would say that Wake Up is good for one steep. 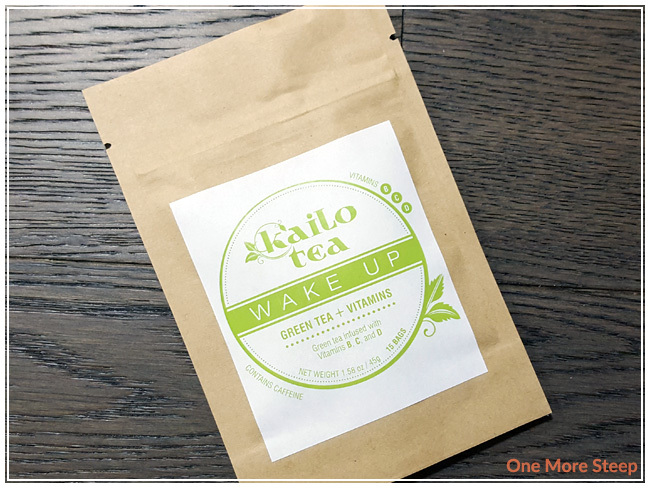 I liked Kailo Tea’s Wake Up. I’m not sure how the vitamins really made a difference in the flavour, but I found that the tea itself had a great flavour profile with the citrus, ginger, and peppermint. The cloudiness to the tea, once you realize it’s from the vitamin capsule, isn’t off-putting. I wish it had held out for one more steep because the flavour in the initial steep was so bright and inviting. I had this tea hot, but because of the citrus and ginger flavours, I think it would do well being iced. It has a nice natural sweetness that I think doesn’t require more sweetener.